All businesses will be aware of the detrimental impact Brexit uncertainty is already having on the UK economy. Many companies are delaying investment or warning of a threat to investment, among them Jaguar LandRover. Meanwhile, Bank of England governor, Mark Carney, cited concerns over business investment in the UK as one of the main reasons for delaying the much-hyped interest rate hike earlier in the year. But while there are legitimate business concerns around investing during the current Brexit uncertainty, particularly for small to medium sized businesses who are perhaps more vulnerable than large corporations, there is a balance to be struck. Turn the taps off completely and British companies risk their employees interpreting such caution as a lack of confidence in the future, inadvertently driving them to look for employment elsewhere. With recruiting and retaining top talent one of the most important issues for businesses today, this is not a mistake SMEs and business leaders will want to make. This is the issue explored by new research from workplace consultants, Peldon Rose, which reveals that employers must continue to invest in the work environment to attract and retain top young talent. The survey reveals that more than a quarter of British workers (27%) say Brexit has already had a negative impact on their company. 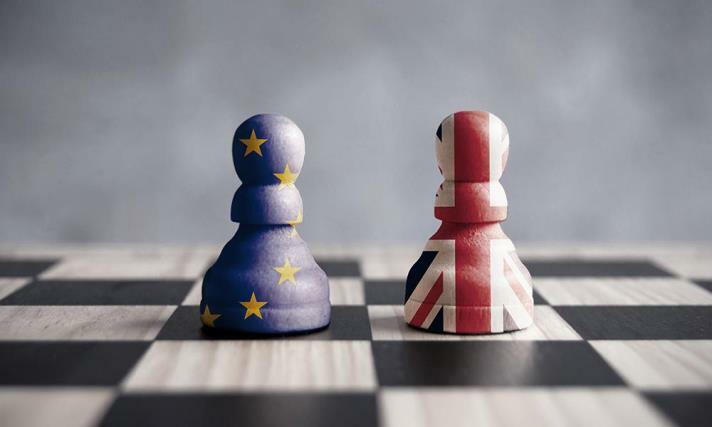 One in six (16%) claim Brexit uncertainty has seen their company reduce its investment in the workplace and of these, a third (32%) state company perks have or will be cut and a quarter (23%) say their company has or will postpone an office refurbishment to save money. The survey suggests employers who value retaining the best young employees should be cautious about such ‘Brexit budgeting’ as investment in the workplace is particularly important for young workers; two-fifths (39%) of Millennials and Generation Xs (aged 35-54) and a third (33%) of Generation Zs (aged 18-24) claim they’ll consider changing jobs if workplace spending is cut - vs only a fifth (20%) of Baby Boomers, (aged 55 ). Conversely, employers who maintain and improve the office environment will be rewarded with the loyalty of their employees; two-thirds (66%) of Millennials say they will be more loyal to companies that invest in the office, a high figure reflected across the generations with over half of all employees agreeing that companies that improve the workplace will gain their loyalty (53%). The research concludes that British employers need to ensure that they are sending out the right, positive messages to their employees – particularly at a time of such uncertainty. Retaining top talent is critical to any organisation’s success and smart businesses all now acknowledge that a great office environment is not a nice-to-have, it is a key employee retention and engagement tool.